When the New York Yankees and Boston Red Sox get together for their next series, both teams could feature somewhat different rosters. After Sunday's finale of the three-game series at Yankee Stadium, the longtime rivals will not meet again until Aug. 2 at Fenway Park -- two days after the non-waiver trade deadline. 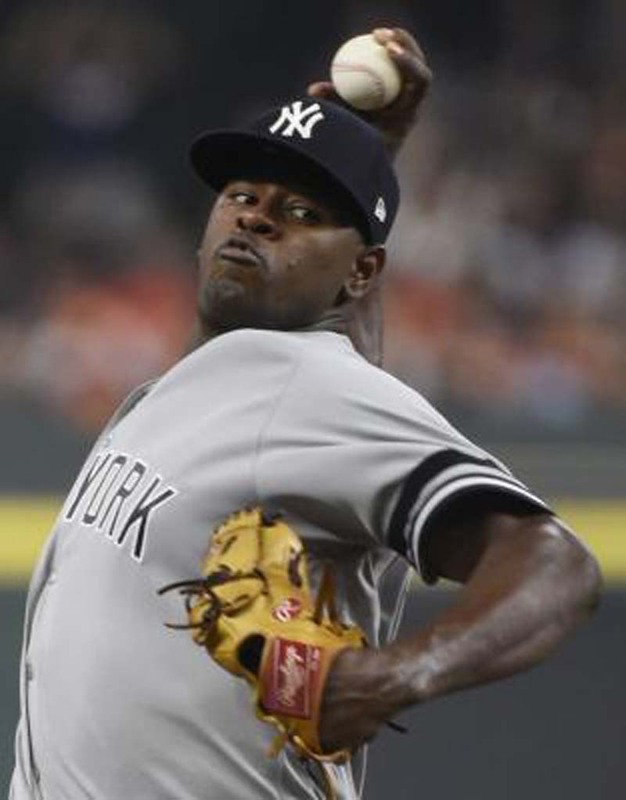 The Yankees are in the market for a starting pitcher to bolster the back end of their rotation anchored by Sunday's starting pitcher Luis Severino (12-2, 2.10 ERA). With the crosstown New York Mets falling to one of the worst records in the National League, talk of a possible deal for Jacob deGrom is circulating, though Toronto's J.A. Happ or Texas Rangers left-hander Cole Hamels could be more realistic. "If the best business decisions happened to be with a rival, that's not a problem for me," said Cashman on Friday, while noting he has been in touch with Omar Minaya, one of three men holding the Mets GM role in Sandy Alderson's leave of absence. "As far as I'm concerned it match just makes sense, I don't care who (it's) with. "People are calling, and you just kind of check in and make sure they know what's taking place and vice versa," Dombrowski said Saturday afternoon. "The one thing with us is, we're going to try to be the best club we can, regardless of what the Yankees do. And we all know that they have a really good team." "There's no question that he's our ace, and we know that when he gets the ball, he has a chance to dominate and we have a good chance to get it done that day," Yankees manager Aaron Boone said Tuesday. Severino's home unbeaten streak matches Seattle's Wade LeBlanc for the longest active streak in the majors. Severino's last home loss was to the Boston Red Sox on Sept. 3. He is 2-5 with a 4.61 ERA in 10 appearances (nine starts) against Boston. "I don't think I'll be able to go, so I don't think so," Price said before adding "Yeah, Fortnite."